The etiquette of golf, although not formally equivalent to the rules, are included in the publications on golf rules and are considered binding for every player. They cover matters such as safety (see separate article: safety on the golf course, fairness, easiness and pace of play, and the players’ obligation to contribute to the care of the course. Make sure to have read and understood the Golf Rules. There is nothing worse than starting to ask your fellow players “is this allowed?” or “may I do this?”. If you don’t have a good understanding of the Rules, please don’t play golf…. Also, the golf etiquette says that you have to make sure to check, before the first tee, if there are any local rules to be applied on that specific course where you are playing. 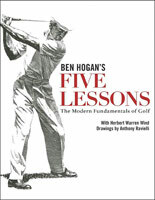 Understanding the philosophy behind the handicap means a having a profound understanding of the “Spirit of the Game”. Without an official handicap, you will not be able to truly compete in golf with your fellow players, hence, in every match you play you would bring an element of unfairness to the match. Only accurate handicaps provide the fair basis to compete! Remember: playing without a handicap is a breach of etiquette. Always carry two uniquely-marked balls (even 3 in case of…). Make sure that your marks are really unique (a small blue point, for example, is a pretty common mark). Inform the other players about the type and the number of the balls that you will be playing. Only one player at a time is allowed on the tee. While this player is hitting the ball, it is recommended to stay well outside of the teeing area. It would be considered inadmissible if a golfer had to ask you to move out of his/her way anywhere on the course, but especially on the tee, where players are at their maximum concentration. After having hit, make sure to remove the wood (or plastic) tee, if you used it. There is nothing worse than finding a colorful tee pinched into the teeing ground. Lastly, if you have damaged the grass, ensure to repair your divot properly before leaving. After the tee shot, all the way during the match, the order of play is always farthest from the hole is the first to hit the ball, and there are normally no exceptions. However, in friendly matches (as opposed to tournaments), this rule can be ignored in favour of “ready play”, i.e. players hit as they are ready in order to accelerate pace and speed of play, see also below. Always play without delay at all times. It is paramount to be always at your ball, ready to hit, when it is your turn. If, for any reason, you aren’t ready, encourage one of your fellow players to hit on your behalf. It is important to begin planning your next shot as you approach the ball by studying the “environment” (wind, slopes, type of grass, wetness…) and analyzing your shot alternatives and not when is your turn to hit. Infact, when you reach your ball, you should only check the lie, select your ideal club, visualize your swing and just play it. Limit your (divotless) practice swings to just a few ones, and never ever practice swing towards anyone. Remember that you should always hit within 30-45 seconds of the previous golfer’s stroke. A good way to judge your speed is your position relative to the group in front and behind of you. You are playing with “good” speed if, as you approach your next shot, the forward group is just moving off. Never talk or tell stories that in anyway, even for a few seconds, may delay the speed of play…. You will always have time to chat when walking between holes or later at the clubhouse. Lastly, remember to proceed to the next hole immediately upon holing out. If you hit a shot into the woods and you suspect that the ball may be lost, you can play a second (provisional) ball according to the Rules of Golf (with one stroke of penalty). Remember that you have a total of 5 minutes for searching your ball (from the time when you reach the area where your ball may have landed). If you insist on taking the full five minutes to look for your lost ball, golf etiquette recommends to wave up the group (if there is a group behind you ready to play) to allow them to play through. Also remember that according to the Rules of Golf, if you played the provisional ball but you find your first ball, still in-play, you’re obliged to continue playing with the first one. Always fill the score card while proceeding to the next shot, never on the tee or green. Making other players ask what you score you had on the specific hole you just finished, is a breach of etiquette. At the time of holing out, as you take back your ball, clearly state, “Par,” or, “birdy,” or…whatever has been your score. It is recommendable to check the card occasionally to ensure accuracy. Always repair or replace your divots. In case this results impossible to do, you can try to use the toe of your shoes to kick in the turf around the edges of the divot or take (when existing) extra soil to recover, partially, the damage you created. In the green, don’t forget to repair any pitch marks or indentations caused by your ball hitting the soil. However, always remember that, according to the Rule of Golf, you cannot make any reparation (before having hit your ball) if the damage itself is in your line of shot. When you enter a bunker always do it from the low side. When you leave a bunker make sure you have removed all evidence that you were ever there. Some extra strokes with the rake to smooth the sand are always welcome. When you do it, just think all the times you have had to hit from another’s footprints or bad raking, it will motivate you to leave the bunker in perfect state ! The green and the tee are probably the most delicate areas where strictly following the golf etiquette will help yourself and your fellow players. First of all, be sure to not be on somebody else’ line of putting. Standing even with the ball left or right, at a considerate distance, is always correct. Never talk, whisper or make any other noise while another player is putting. 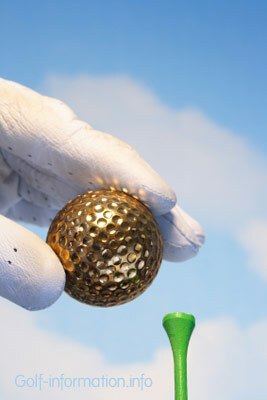 If your ball is on a player’s line, always offer to remove it by marking it. When you mark and replace your ball on the green never advance it even infinitesimally, this is major breach of the etiquette and it would be indeed badly perceived. When removing the flag, don’t drop it onto the green, always lower it gently and drop it just outside the green (the player whose ball is closest to the pin has the pin responsibilities). Lastly, if your ball hitting the green caused some damages, repair them as good as you can trying to “retrieve” a smooth surface where the ball mark was. This is an important principle in the golf etiquette, as when a player is addressing the ball, you must stand absolutely still (like a statue) just watching the player hit. Any movement, even minimal, is simply unacceptable. Talking is likewise unacceptable. Be carefull not to make any noise with your clubs, with your bag or anything else. Just stand still and watch the shot. Unless in a friendly game, never “give” a shot that matters even if it is really at the limit of remote possibility that the player could miss it. The essence of this Game is to hole the ball, hence, any deviation should be considered only as a special courtesy among friends. Remember that only other players can give you a shot, you cannot pretend it nor ask for it, that would be a breach of the etiquette! Lastly, Mulligans are never allowed. Always have the exact amount (in cash preferably) needed to settle the game or any bet you may make during the game. Saying, “Do you have change?” or ”I will pay you next time” is a breach of etiquette. Never blame out other golfers, the clubs, the weather or even the environment for your shots. Never address to luck (either good or bad) as throughout a whole golf game, good bounces are normally compensated always by bad ones… Never blame another player for reminding and championing the Rules of Golf. Also don’t fall in the attitude to explain why your shot was bad, or good, why today you are playing better or worse than the other day… Don’t be so competitive that you forget that golf is a game played competitively for joy. Always play like a gentleman, in demeanor and attitude, because, in golf it is not your score but your behavior on the course (and the club) that determines the ultimate impression of your fellow players, friends and club members. Scoring and playing well is what golf is about, but that’s not what golf is all about…. At the end of the game, always shake hands with all the players, congratulate with the winners and thank everybody for their company. We just mention this as the last point being, by itself, an entirely separate topic !